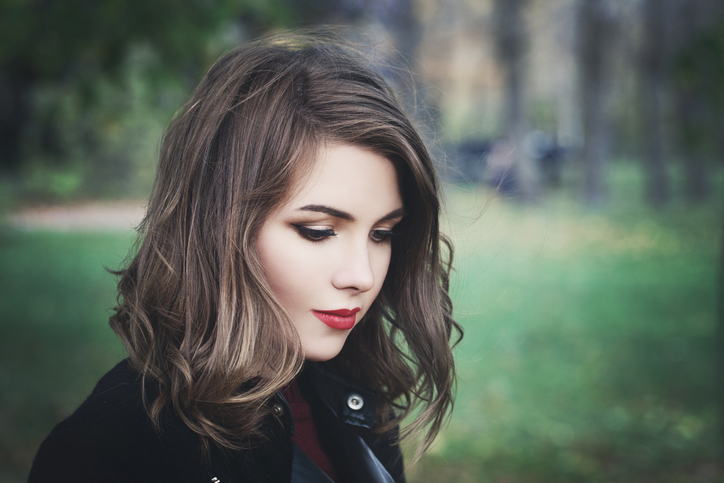 Make the best of your natural texture by asking your hairstylist for one of these trendy haircuts for thin hair. 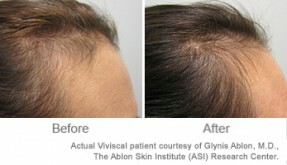 Having fine or thinning hair doesn’t necessarily mean having limp and lifeless locks. There are several haircut trends for 2018 that will help boost fine, thin locks with extra volume and bounce. 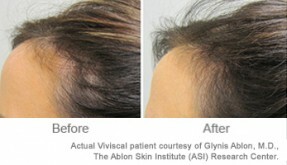 Of course, if you want truly thicker, fuller hair from the inside, take your daily Viviscal supplement. 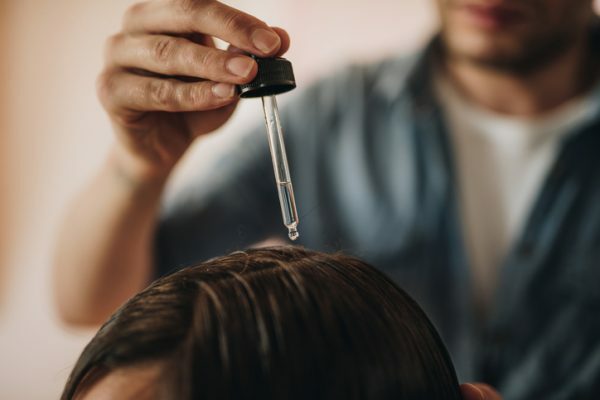 * But while the Viviscal supplement gets to work, try one of 2018’s best haircuts for thin hair and learn style tips for thin hair to see thicker-looking hair now. The first step to embracing thin hair is to get a haircut that works for your unique hair texture and hair type. Ask your hairstylist for one of these haircuts for thinning hair. A blunt “lob”, or a long bob, is a great option for women with thin hair. Shorter hair means less weight on your roots, giving hair much-needed volume and bounce. Plus, a blunt cut at your ends will make your hair appear thicker and healthier. Ask your stylist for a bob with longer pieces in the front. These long pieces will frame your face, adding volume around your face, and drawing the eye down and away from thin hair. 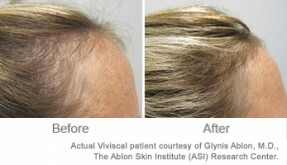 Light, long layers create movement in thin hair. This is an especially great haircut trend for women with wavy hair. Just make sure to be specific that you want light layers — too many short layers will make hair look even thinner than it is. This is a great option if you prefer having longer hair. 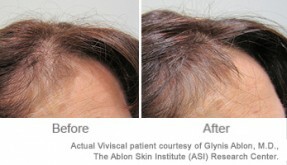 Ask your hairstylist to cut wispy layers at the front of your hair starting from the chin. These layers will frame your face, and can easily be curled back to create extra volume. But avoid layers in the back as these can look too stringy. A pixie cut is a great option for women with thin or damaged hair, since cropped hair is healthier and stronger than longer locks. This cut chops off any damaged ends giving you a fresh start for healthy hair. Short, choppy layers also give the illusion of thicker hair. Plus, this look is super easy to style! Just add some pomade and go. 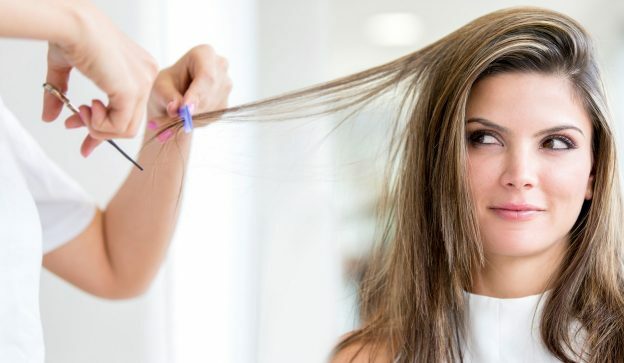 These simple styling tips will make thin hair look thicker, fuller and healthier. 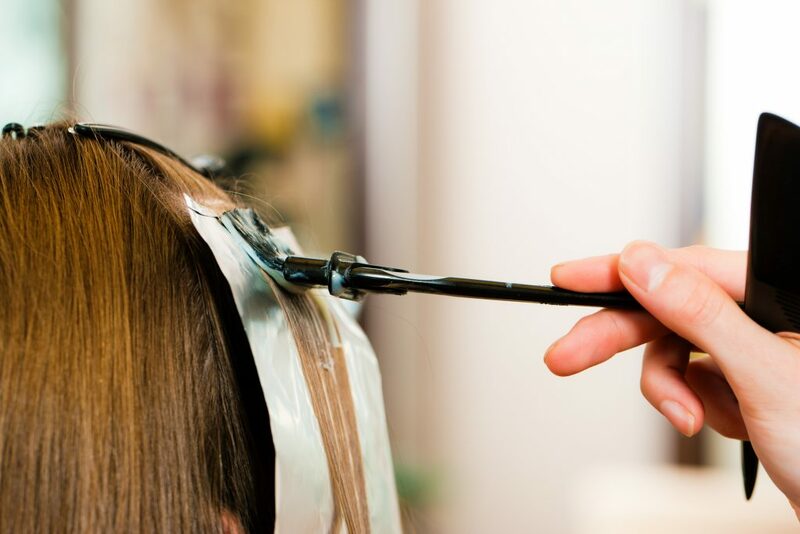 Ask your stylist to color your hair with deeper, darker roots and subtle highlights. This coloring technique will create the illusion of depth, making hair look thicker. Switching your part will naturally create volume at the roots by lifting up hair that has fallen flat at your usual part. Try a deep side part to create the illusion of volume by putting all the hair on one side. Or try a subtly zigzagged part, which will add volume give hair the look of thickness and bounce. Your grandma was onto something: foam rollers are actually amazing for creating volume. Add a few rollers at your crown while you apply makeup or drink coffee, then remove and brush for gorgeously full hair. We also love that foam rollers don’t use heat, so they minimize damage to fine hair. 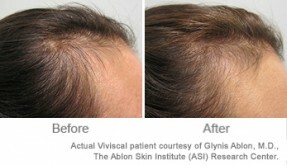 Lay the foundation for fuller hair by using a thickening serum like Viviscal Gorgeous Growth Densifying Elixir. Apply a small amount to wet hair, then style as normal for thicker, fuller-looking hair. 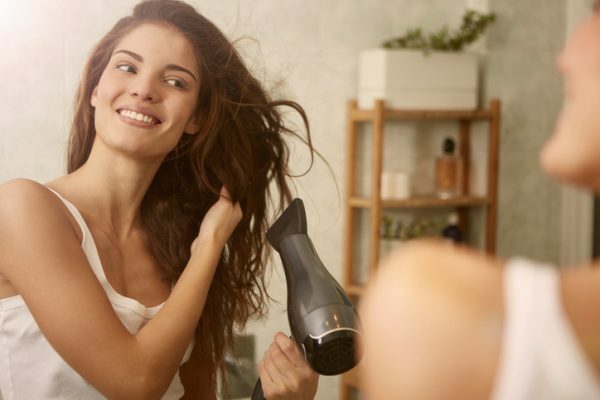 While we typically recommend air drying hair to keep it as healthy as possible, blow drying hair upside down is a great way to get some extra oomph before special occasions. Always rough dry hair until it’s almost completely dry before blow drying with a brush. Not only will this prevent damage, but it will also make your hair look thicker. 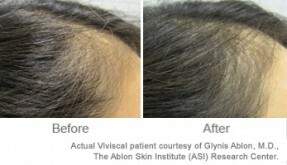 Fine and thin hair tends to be softer, and soft hair has a harder time holding a style. 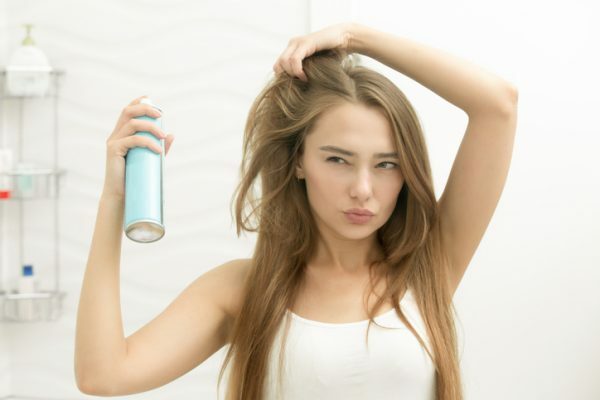 You can add texture to hair by spritzing it with a dry shampoo, like Batiste dry shampoo, even if it’s clean. The powder finish of dry shampoo will make hair look thicker without weighing it down. How do you style your hair to make it look thicker? Let us know in the comments!